I'm loving this boom! 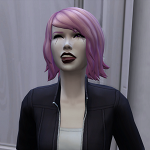 Especially because I'm still learning the Sims 4 ropes so learning from someone very adept is super awesome to me. One thing I've found during my (very amateur time) playing with Sims 4 toddlers is movement was gained quickest when dancing with a parent (however this has a risk in that a lot of times the kids will wind up "danced out/angry/some other negative moodlet" after just a few minutes of dancing. On the other hand, I recently got the Toddler Stuff Pack and that had the ball pit, which I can spam practically endlessly and it'll kick their Movement right up. Also if they do it while energized (I have the lot trait "sunny home" I think? which gives it to them randomly) they'll be fairly quick about it. Obviously I don't really have much to compare to/by, but I thought maybe it could help. The kids are really cute, and despite you saying it's been super hectic you seem to be handling it incredibly well! I'm loving the tips and the family so much! I hadn't thought of the ball pit for movement, although up to recently the family couldn't afford it - I really made a bad decision on getting started financially. I knew dancing would gain movement especially with parents (but I keep pulling them out of it or as soon as the parent starts the toddler stops - I need to spam it and test it with Ramsey - I think he still is at level 3) and trust me, everything they do results in them becoming angry/sad/some other negative moodlet after a few minutes (I just ignore their moods which does make skills take longer but I am on a deadline ). They have short attention spans. I also have the parent play with them a few times and that builds movement. With the teddy bear I can max out communication now and I spam potty chair as soon as they age up, so those two skills are completed within their first 24-36 hours as a toddler. So they tend to pass out at least once or twice during the process. Plus they are generally starving by the time they are done with those two skills. My toddlers aren't coddled LOL. But they love to make messes and when they are angry they yell and hit each other which for my normal families is unusual and why I feel so stressed and hectic. Generally, all my kids grow up with good relationships and all five positive character traits, completed child aspirations, etc. These kids are going to be lucky to have two positive character traits and I am crossing my fingers they don't have any negative ones. So far, they all have the Happy Toddler trait for level 3 skills, which is normal for me, and the children have been able to complete their aspirations. But this is only the first set of 6 - I still have 18 more to go, at least. Whenever things get out of control, I send everyone to bed, pause the game, then look at all of their needs. I pick whoever is starving and get them up to eat. Then whoever needs to potty and send them to the bathroom. Then the showers are used. Everyone goes back to bed once their needs are taken care of. If everyone cooperates, I get a sleeping house of green needs when I am done. I get frustrated when they pop out of bed and it isn't their turn. And I try to do all of my saves when everyone is in bed sleeping, so I know where everyone is and what is happening. I just want to roll in all this knowledge you're giving me, lol! Oh I can't imagine the stress. I always stress when I start seeing my Sim's toddlers reach for the "make a mess" interaction. On the one hand I want to let them do it so my parents can SCOLD them on the other, the scolding/reinforcement feels like it does so LITTLE that I feel compelled to intervene before they can take the HIT. Honestly though, what's a little bit of character? They say biting builds character... right? By the way, the social child aspiration is also my least favorite (and so far 2 out of my 3 legacy 2nd gen kids have rolled it as their aspiration ), it feels like it's a LOT harder to make friends with adults than it used to be. Oh I forgot about the good schools lot trait! I'm so noobish to all this, I'm like taking notes. After reading your baby boom I went into my file and managed to max out the Talking skill on my founder's second child (it was too late for the first, but I mean the kid seems fluent enough so... lol). I still have no idea how ANYONE could manage level 5 in all skills on normal during this challenge! I can't even do it when they're my only focus! Anyways I have such admiration for you attempting this on the Sims 4. I think you're doing a fantastic job and I can't wait to see how cute these kids are when they grow! So far I love Bastian, but I'm partial to that name. Lol, Oliver! My goodness child! Your mother was RIGHT THERE! Each TIME! Haha, he definitely isn't the sharpest tool in the shed. Also I had a fit of laughter at Ramsey and his "mom whatcha doin" routine. It's like real kids! I, too, am curious about the work "sloppily" versus "carefully." I'm both excited and apprehensive for your next batch of toddlers! Hey, I figure things can only get easier! You'll have some teens around to help, at the very least, so hopefully that alleviates some things? Then again if they're ALL like Oliver you may have your hands even MORE full. I didn't have anything for Ramsey to work on so I decided to see how long he would stand there and he stood there until the other kids got home from school. It was hilariously because she would say something to him and he would answer but he wouldn't leave but they weren't chatting. He was just watching her. And Bastian has always been my favorite, but man I love Oliver. He has been a character since he was a toddler. They are all fun to play and I am going to miss them when they move out. Yay! Two weeks to read about! I'm sad to see Bastian go. Also congratulations on the aspiration completion! You're doing so, so well! Also glad to see you finally got another girl... the balance can be really hard to get. In the Sims 3 I think I got lucky because my SP naturally leans a balance for the town. I love Bastian's house! I don&#39;t know yet. I post at the end of each play session and I haven&#39;t used MCCC to see if I can tell what she is carrying for baby 9. If it is a boy it is will the bad apple though as I decided #6 of each gender will be my bad apple. So that will be fun. Especially as the rotation has that baby getting angelic. I found your story today and got all caught up! I have left a couple comments right on your blog. A quick pointer for children and homework is to get them a hamster, if you have that stuff pack. Children, and children only, can "study" the hamster and it completes their homework in no time flat. You also at some point wanted to know about toddler creativity...I use the other dollhouse, the treehouse looking one. I don't even have to spam them to use it...they are drawn to it like bees to honey. Another way to max movement fast before you can afford the ball pit is to spam the slide. Some toddlers are afraid of it, though. I love, love, love all these kids! I do agree though they've sort of hit a "normal" look between Peyton and Oakley, etc (I really hope I'm spelling this right, sorry if I'm not! I don't have it in front of me to double check and my browser is still loading). Oh Beau too. Yeah I have to imagine they'll change up their appearance a bit when they get older. I bet if I put all my Messorem's next to each other at toddler stage they'd look a lot alike. I was able to differentiate them with hair, so I think that might be a big part of their similarity. Oh dear! The bad apple! I totally forgot about that challenge... that's going to be REALLY interesting to see how you handle that with the skills. I guess it's a good thing you're kind of spacing out the Bad Apples instead of having them back to back like I did. Haha, looks like you got hit with the twin stick as well, by the way, congratulations on that! Though I'm a little terrified to enter my attempt at a legacy because the twins I have are still babies and I'm not ready for twin toddlers... lol. That's a REALLY good idea to use hats/head coverings to denote who you can and can't touch! I wish I would've thought of that for mine. Hehe, oh dear! The twins seem like double trouble at this point! It's pretty cute though, lol! Also good on Beau! He found the bear all by himself! If only he could just... KEEP hugging it. Oh my gosh those twins! Goodness! I had a child like that in the legacy, and it was a real shocker to me. See I had my first little boy and he was great! Put him in the high chair, he ate. His baby sister? A total brat in the high chair. I was nearly screaming in frustration like EAT. STOP THROWING IT ON THE FLOOR. IF YOU'RE HUNGRY THEN EAT IT! I finally gave in and just started dragging her food to her inventory... not my battle I want to fight, and it's not like they let you scold them for spilling food onto the floor. Man, they get parenting spot on in this game. Oh no! Poor Beau! *Mean?! * Hopefully that doesn't tank his relationship with the family as you can't control his autonomous interactions... Just in time for the next Bad Apple! You're on a roll! simfulicious wrote: I found your story today and got all caught up! I have left a couple comments right on your blog. A quick pointer for children and homework is to get them a hamster, if you have that stuff pack. Children, and children only, can "study" the hamster and it completes their homework in no time flat. Thank you so much! I will make those changes! I have the full playground but will focus them on the slide. and switch out the dollhouses. and the hamster is going to be their new buddy. I love these tips. I deleted the high chairs let them serve themselves like the rest of the family haha. I got back from Austin early so I get some extra play time today - I am hoping to get the next week played and posted tonight.